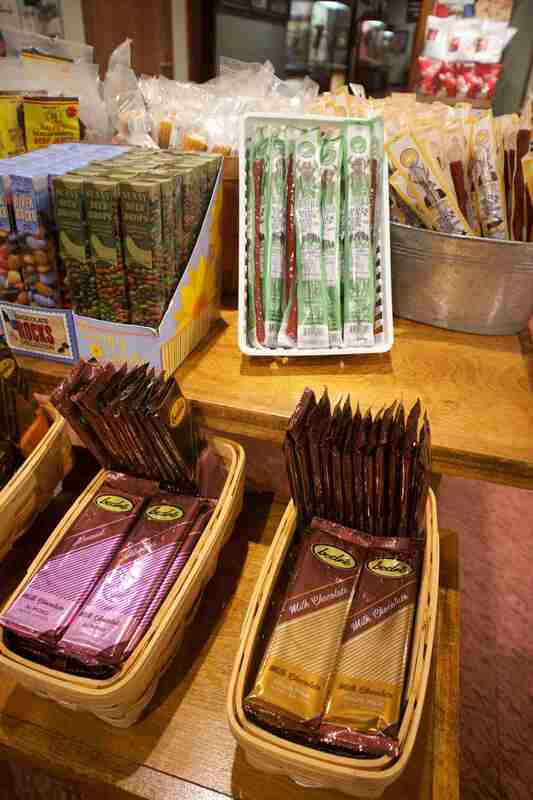 Tasty edible treats make good gifts and cheerful snacking at zoo and aquarium gift shops. Shop staff relate what edible items they sell, why they sell these products, and how to sell more of them. 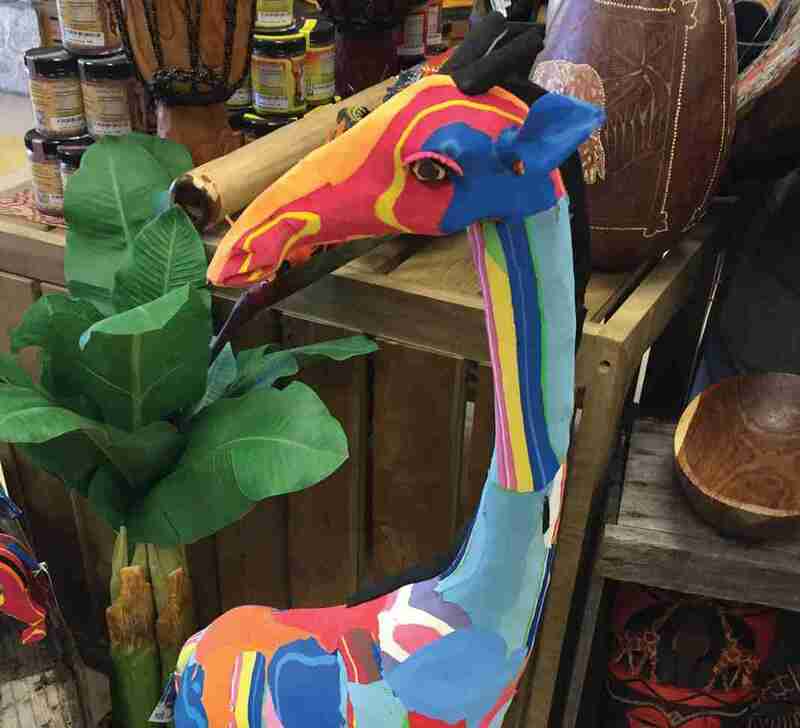 At the Woolaroc Museum & Wildlife Preserve, in Bartlesville, Okla., Gift Store Manager Beth Greene sells a wide variety of gourmet gifts, snacks, and candy. Left, Beth Greene, gift shop manager, with Julie Brown and Jessica Scharnhorst, of Woolaroc Museum and Wildlife Preserve in Bartlesville, Okla. The store sells a variety of gourmet gifts. “We have some of our own label foods, such as Woolaroc coffee beans, blackberry jam and raspberry peach jam, as well as spicy chow-chow, and some black bean and corn salsa. 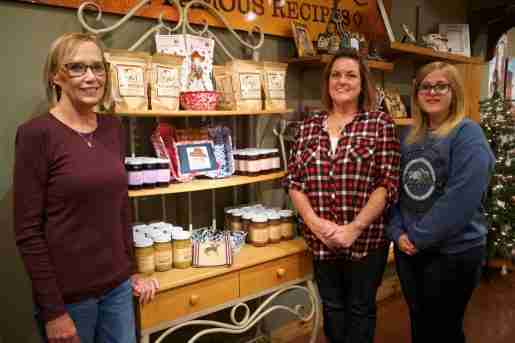 While these items have our own labels, they are produced by a company out of Oklahoma City,” she noted. “In terms of candy, we carry chocolate bars made by the Chickasaw Native American tribe. Their Bedre brand comes as milk chocolate, almond chocolate, peanut butter, caramel, and dark chocolate,” she related. 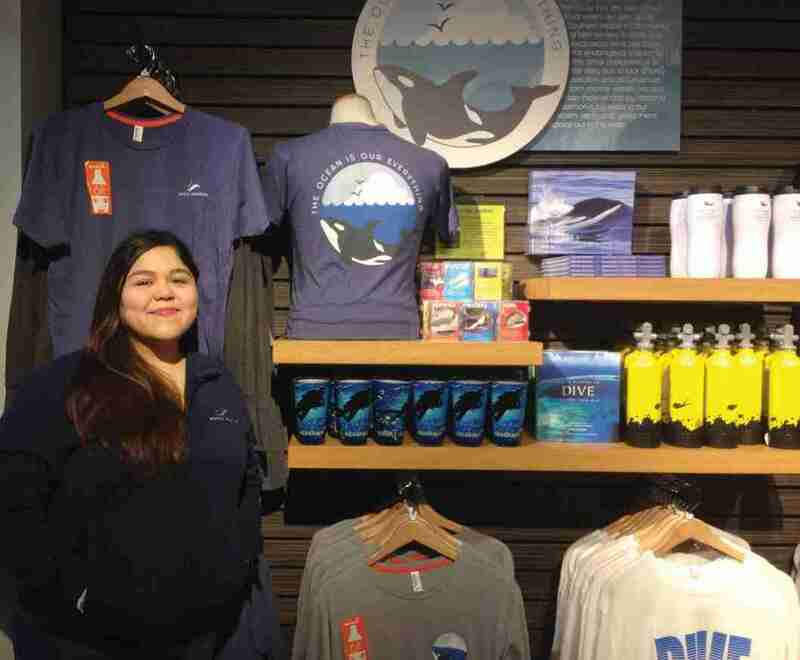 And as snack fare, the shop offers Ralph’s Jerky from Perkins, Okla.
A view of the shop sales floor at SeaQuest Interactive Aquarium in Las Vegas, Nev. With a food concession nearby, the gift store focuses primarily on selling candy. 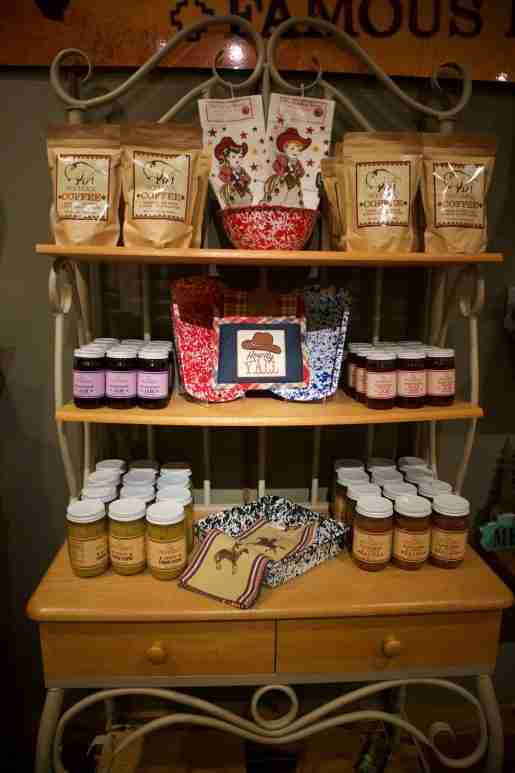 Recently added items that are doing well for the shop are elk and buffalo jerky from Pierson Ranch, a Colorado-based manufacturer; and Farmers Popcorn Corn on the Cob. “You put it in the microwave, and the popcorn pops right on the cob. That’s done very well for us,” she stated. The Woolaroc Museum and Wildlife Preserve even offers its own private label foods. 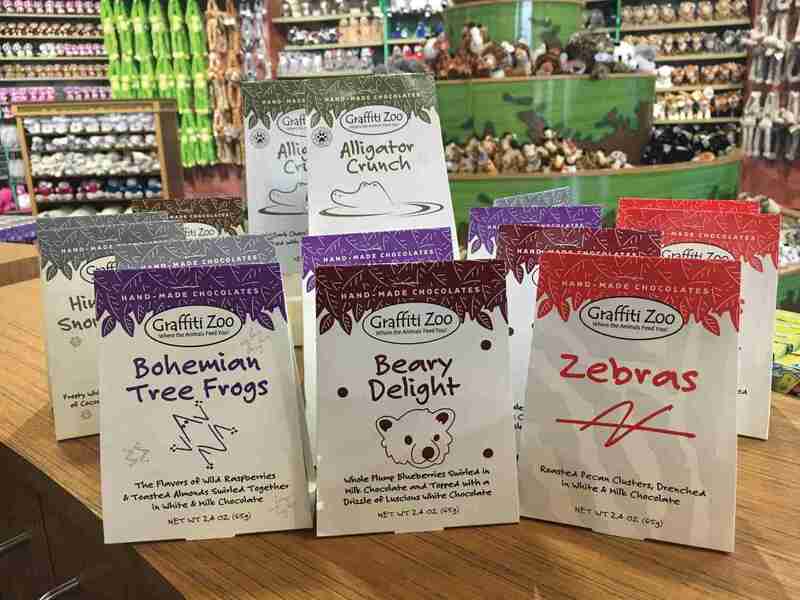 Jennifer Kleen, executive director of the Greater Minot Zoological Society at the Roosevelt Park Zoo in Minot, N.D., said the gourmet gifts, snacks, and candy the zoo’s gift shop sells varies somewhat by the season. “We have a number of retro-style classic candies during the Christmas season, which is our slower time of year. In the spring and summer, we have a lot of chocolate covered things – chocolate always sells well. For example, we have chocolate covered cinnamon bears. We try to keep our edible items nature-themed. Along with the bears, which tie in with the zoo, we have old-school River Rock candies, and we have snack mixes that arguably fit in with the kinds of items foragers could find,” such as mixes containing dried berries and nuts. To sell more of these candy and snack items, Kleen said the shop relies on interaction with customers, social media, and in-store display. 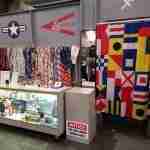 “We suggest items to the customers when they come into the shop; we tell them our favorites. 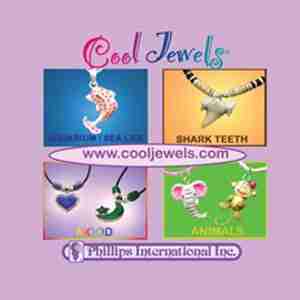 We also promote our food items – along with the other gift store items we carry – on social media. And in terms of display, our retro items and our snack items come from two different companies, and they’re each in separate display cases that are easy to see in the store.” Chocolate covered cinnamon bears and a spicy trail mix were the shop’s two more recent edible merchandise success stories, Kleen reported. Edible gifts at Woolaroc Museum and Wildlife Preserve. Chocolate made by the Chickasaw Native American Tribe is sold at the store. 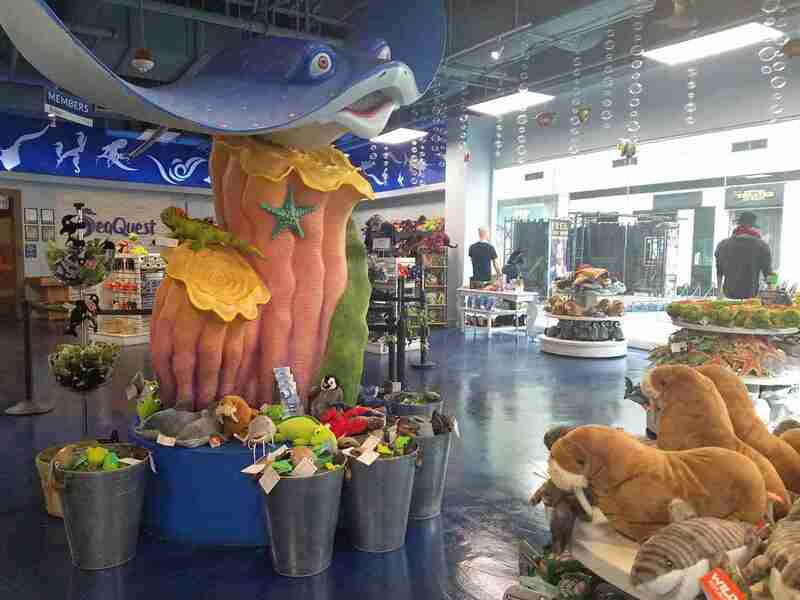 At the Seaquest Interactive Aquarium in Las Vegas, Nev., Guest Services Manager Dust’An Whytock explained that because the aquarium has a concessions area as well as a gift shop in close proximity, the gift shop focuses primarily on candy items when it comes to food. “We have rock candy and different flavored candy canes, and we’ll soon be receiving a variety of different kinds of gummy candies and packaged fudge,” she related. “The gummies are fish and aquatic animal themed, and that was one of the reasons we made that selection for the shop, as it fits well with our attraction. The fudge and other candies have wide appeal to kids of all ages, and they’re often buying many of these items.” To sell more of these candies, Whytock said a mix of suggestive selling and display are the shop’s primary tools. 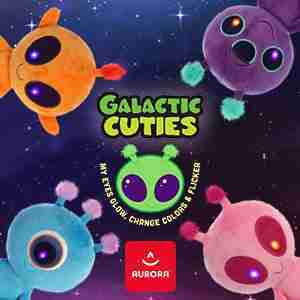 “We do mix the candy in with other items such as toys. 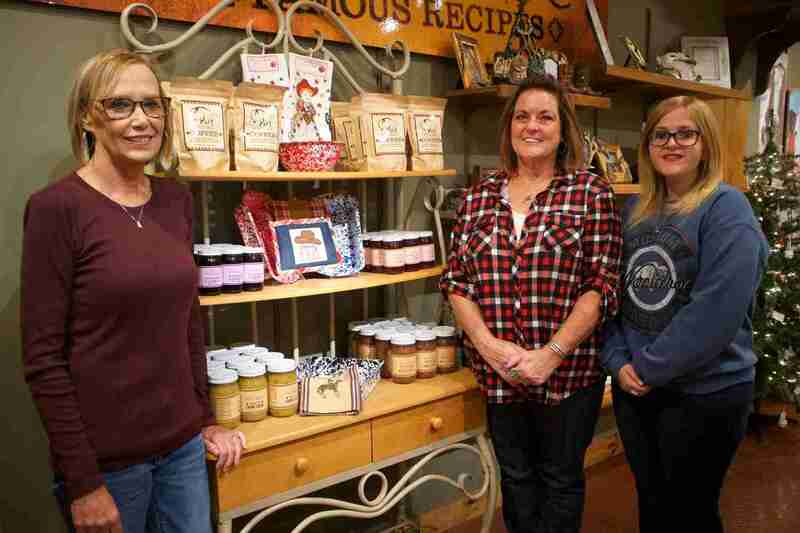 Cross-merchandising draws people to food items they might not otherwise see.” Recently, salt water taffy was a big success for the store, but when the shop switched candy vendors, it was not continued. She expected the gummy candies to do strong sales when they arrive. 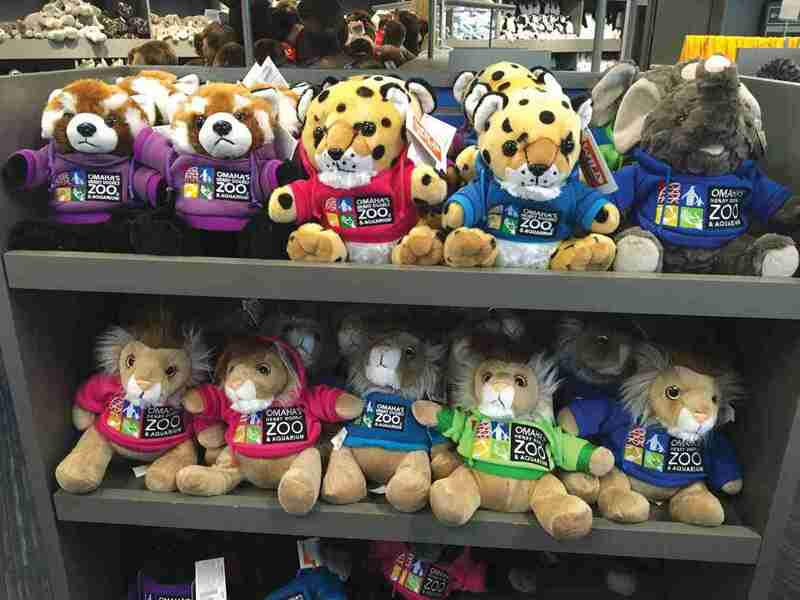 Regardless of the items they carry, sweets, snacks, and gourmet food gifts have strong appeal for visitors at zoos and aquariums nationwide.